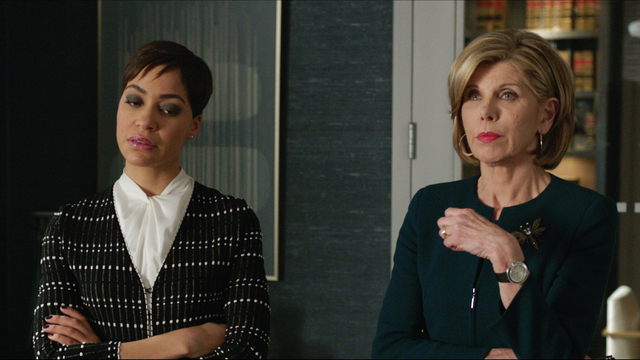 The Good Fight arrived in our screens - well, it arrived on CBS’ All-Access streaming service - not even a year after its parent series, The Good Wife, finished amidst critical criticism. As such, it was obvious that The Kings (the Executive Producers and creators of the parent series, joined on the new drama by Phil Alden Robinson) would reevaluate. And the result came in ditching the parent's show protagonist, portrayed by Julianne Marguiles, and centering it around one of the most beloved and prestige characters on the show: Diane Lockhart, portrayed masterfully by Christine Baranski. She’s, no doubt, the protagonist of this new series and all threads connect to her. But the show is far from built solely on her more-than-capable shoulders - Baranski is joined by an equally talented cast, both supporting and main, of actors and actresses, spearheaded by Cush Jumbo (a character coming over from The Good Wife’s final seventh season. As a side note: Cush Jumbo’s character, Lucca, is more developed here within a single episode than the entirety of her character’s run in the seventh season) and Rose Leslie, a Game of Thrones alum. Together, these three female leads cement all of the intriguing storylines spinning and weaved in the show and they carry the show with amazing ability and charisma. They’re not alone, though: the cast is joined by an array of guest stars, some of them present in the original show as well. 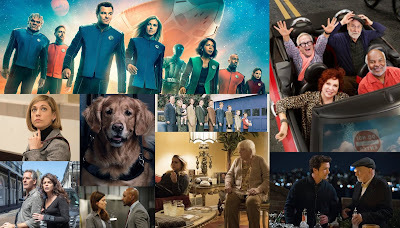 For instance, Carrie Preston - playing the notoriously eccentric Elsbeth Tascioni - has a storyline spawning three episodes; Matthew Perry (portraying the sleazy Mike Kresteva) is back to its old antics; and our favorite judge, Judge Abernathy (Denis O’Hare), makes an appearance with all of his liberal mightiness. Additionally, this brings an important ramification throughout this entire series: The Good Wife lived the entirety of its run under a Democratic President. By the time The Good Fight premiered, the United States was under the leadership of a Republican President, arguably one of the most controversial ones. And this brought immediate change - the show begins with a snapshot of Diane Lockhart, shocked and horrified, witnessing the inauguration (the episode is also called ‘Inauguration’ - just to punch it again); it permeates beyond this first episode too: the aforementioned Mike Kresteva - who might as well have coined the term ‘fake news’ - continues to spin the stories to better suit him, distorting the facts, making him the perfect character to bring into this fake news world we currently live on. Another episode (‘Social Media and Its Discontents’) deals with the hate speech - and anonymity - that the internet brings and the rapid pace at which it propagates across all forms of media on an online forum and the conflicts it may potentially bring with the First Amendment. Not to forget: the best episode of the show so far, one might argue, is constructed exactly after an episode centered on this new Republican president failed to air on one of the competing networks (NBC). It’s time to bring up the plot of the show: it opens amidst scandal, as Maia Rindell (Rose Leslie) discovers that her parents were involved in the biggest Ponzi scheme ever since Madoff, causing all of the people who invested with them to lose their money. That, obviously, involves Diane Lockhart (Christine Baranski), who was a very close friend of the couples. 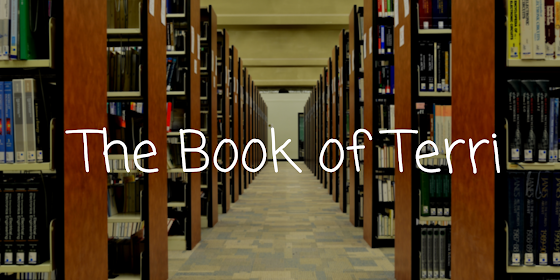 And it came just around the time when she was planning to retire away in Provence, France. This forces her to continue to work - and the only firm willing to offer her work (remember, at this time she was one of the hottest commodities in the legal circles in Chicago) is the one she finds herself at odds in the first episode. And this offers an interesting point of view: Diane is a middle aged woman who finds herself against the wall, having lost everything she has worked for in the entirety of her life. She even mentions this during an exchange with her ex-husband in one of the most emotional scenes, and Baranski brings it home. It’s certainly an exceptional way to construct a show, basing it around Diane, when most shows tend to go for an younger protagonist. It’s very unusual, even more so for a CBS-produced and owned show. The amazing music and score that surrounds this show can’t be undermined, either. David Buckley (The responsible for said score) is a brilliant composer and his music sets the tone perfectly to whatever scene it is applied to. It lays the perfect groundwork for the actors to do their magnetic work. It will put you in the mood of the scene by itself and then, you only have to concentrate on what’s transpiring on the screen. Perhaps, the best example of this is present in the beginning of every episode - the intro. Noticeably longer than the parent show had, this intro features a bunch of objects suddenly blowing up. 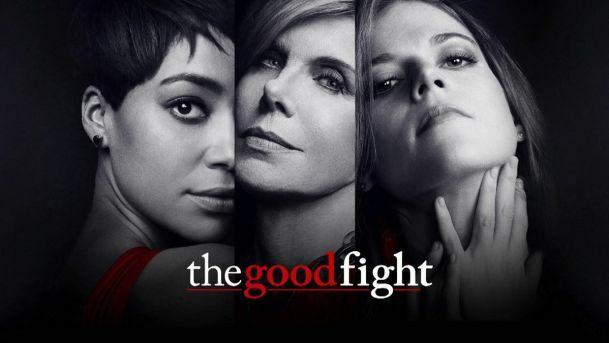 It’s a metaphor to the way The Good Fight suddenly blows the narrative of the show preceding and it’s an equally apt metaphor for the way the world outside the show itself. It’s a very insecure world out there, full of menace and threats. And the show aptly reflects that. All in all, The Good Fight is one superb drama with all of the prestige and acclaim of the its previous series but more than strong enough on its own. It’s certainly an improvement on the latest seasons of the parent show. But make no mistake: You don’t need previous knowledge of this world and its characters to watch and enjoy it to its maximum potential. Just dive in and enjoy the utter thrill this show will provide you. It has been renewed for a second season that should premiere in early 2018. It’s also just 10 episodes (13 for the second season) so you’ll have ample time to watch it. Go and watch it. Do yourself a favor, trust me. Review conducted with the consultation of Tom and Jason.